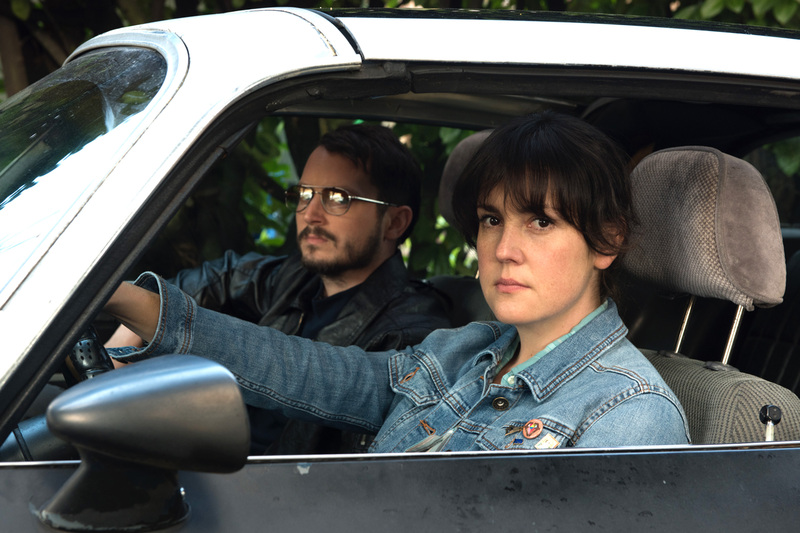 I Don’t Feel at Home in This World Anymore (2017) – Review – Stuff and That. Movie Review 2 Comments 2017actioncomedycrimeelijah woodfilmi don't feel at home in this world anymoremacon blairmelanie lynskeymovienetflixReubenreviewStuff and that. Yeah, yeah, we’re all depressed, you’re not special. Yo, this be Reuben. This weekend after a shameful 20-minute-scroll through Netflix we decided to put this flick on. The poster says it won some sort of Sundance prize — does it live up to the honour? Eh, not really. It’s still a solid pretty good time though. 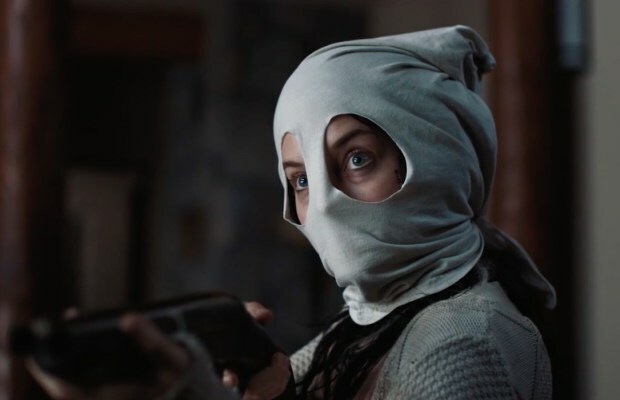 Directed by Macon Blair, I Don’t Feel at Home in This World Anymore gives us the most forgettable film name since that one which I forget the name of and follows the story of a woman called Ruth disillusioned by the world who’s hit by a house burglary in what I’m pretty sure is Portland. She then gets together with her weird neighbour Tony to track the burglars down and get her stuff back. A simple plot, yes, but it’s made interesting enough by a unique sense of character, while it works to give the film a solid foundation to build from. What the relative simplicity of the film’s plot does best is give Ruth’s character breathing room to develop. While her character stays apathetic and depressive, she works well as a centre focus of the film for all the madness to happen around, and while she just kinda takes it and moves on throughout, the viewer does the same. The bond she develops with Tony then gives the film another layer and an interesting and quirky departure from your average rom-com tropes. Played by Melanie Lynskey and Elijah Wood respectively, the two characters are done justice with two genuinely great leading performances — Elijah can be Frodo and a nun-chuck wielding Saxon fan, who knew? Sadly enough though, a lot of the other cast members don’t do quite that same good job. As Ruth n’ Tony delve deeper into their tracking-down mission, if you like, a weird kinda slightly Mad Max-y, punky criminal underbelly is given light and unfortunately it’s just a bit over-acted. Maybe they were going for that deliberately for that silly 80s throwback kinda thing, but they just didn’t pull it off and it reminded me too much of that punky filler episode in Stranger Things 2. So then you put together unimpressive acting and a ham-fisted attempt at replicating a mixture of old underground action films with some on-the-nose dialogue and a fair portion of the villainy teeters on the edge of lame. Messing with the shotgun-wielding girl with the bag on her head isn’t advised. Still, it becomes clear not too far in that this film is a silly film, so lame teetering is partly forgiven, especially towards the end when shuriken-flying, hand-exploding and accidental friend-shooting comes to the fore. This gorey action is ridiculous and entertaining (a potent mix indeed), and gives the film a fun pay-off. The comedy aspect is shown off here too, while an interesting sinister tone develops throughout the movie’s runtime that gives an extra dark sprinkling to the comedy. Nonetheless, as that runtime progresses the film gets messier and messier and while this works for that fun gory aspect as well as for the good ol’ giggles, it makes for a tonally imbalanced time. Essentially, there’s a bunch of different things going on and it just loses focus, detracting from the quality of the whole experience — I don’t think Blair was sure if he wanted to direct the new Turbo Kid or Wiener Dog. There’s also the issue of the main dude who actually does the burglary, who seems very much like the main bad dude, but because his position in the plot becomes unclear and it all gets messy as it does, there’s a lack of a solid antagonist, which I feel takes away from it all a bit. Even so, I Don’t Feel at Home in This World Anymore isn’t quite so forgettable as its name may suggest. Fronted by two quality lead performances and a solid premise it’s a fun time that’s worth a try despite some dodgy direction and villainy. This has been on my Netflix list for a while, but there’s always been something about the trailer that just didn’t sit right enough to watch it. I will, though. Expectations managed and all that jazz. Yeah it’s not a masterpiece by any stretch but its certainly got enough about it, hope you enjoy it!